Successful copywriting projects start with a conversation. Every successful B2B copywriting project begins with a first contact conversation. If you would like to request a free, 30-minute discovery call to discuss yours, please fill out the form below. The more you share with me, the more productive the call. These calls may sometimes be scheduled outside the times for the next option. I may send you a link to my scheduler so you can reserve a spot. 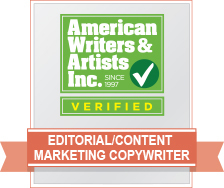 Or you can email me at steve@maurer-copywriting.com to get the dialog started. If you’re an existing client and would like to schedule either a 15-minute call to touch base, or need up to 30 minutes to discuss your current project, click here to schedule. For a 60-minute call, email me for instructions. Do you have a specific or set budget for this project? If so, please share it with me.